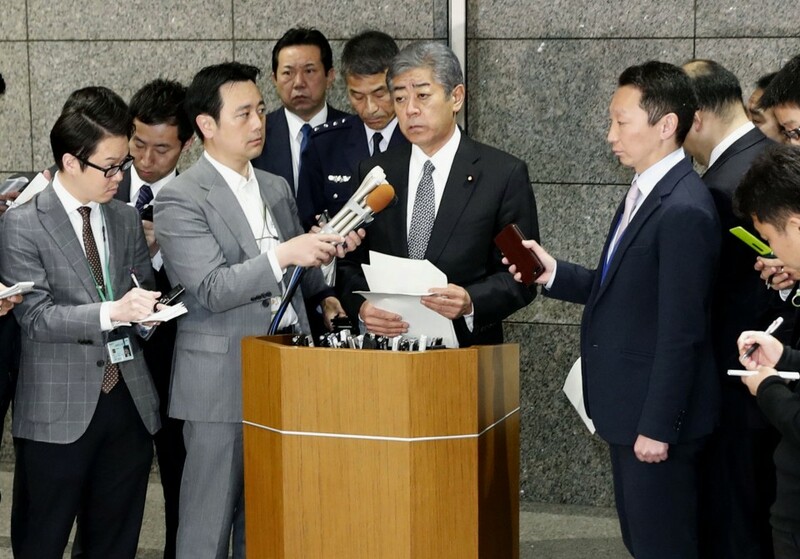 Defense Minister Takeshi Iwaya said Wednesday that a Japanese F-35A stealth fighter which disappeared from radar during an exercise the previous day crashed into the Pacific, in the first such accident involving the plane. Wreckage from the fighter's tails has been found off the coast of northeastern Japan, the minister said. Search operations by the Self-Defense Forces, the Japan Coast Guard and U.S. forces are continuing with the pilot still missing. "We'll do our best to find" him, Iwaya said. The Defense Ministry told ruling party lawmakers it is the first crash of an F-35A anywhere in the world. Co-developed as a fifth-generation fighter jet by nine countries including the United States, Britain and Italy, F-35s are produced by the U.S. defense company Lockheed Martin Corp. The crash may affect Japan's plan to purchase a total of 105 F-35As, which would cost about 11.6 billion yen ($104 million) each, from the United States. The single-seat jet disappeared after taking off from Misawa Air Base in the northeastern Japan prefecture of Aomori around 7 p.m. Tuesday for an air-to-air combat exercise. Its pilot was a major in his 40s, according to the Defense Ministry. The fighter was flying with three other aircraft off the coast of Aomori, some 135 kilometers east of the base, when radar contact was lost around 7:25 p.m., according to the Air Self-Defense Force. Iwaya said the aircraft went missing after the pilot told the others over the radio that he would stop participating in the drill. An ASDF investigative panel will look into the cause of the accident, suspecting the pilot might have noticed some abnormality just before crashing. The missing pilot had a total flight time of about 3,200 hours including some 60 hours of flying F-35A. At the Defense Ministry, Iwaya apologized to Misawa Mayor Kazumasa Taneichi for the accident, saying he is "sorry for causing great worries among local residents." With the mayor calling on the ministry to ensure there is no repeat of such accidents, Iwaya said the remaining 12 F-35As at the base will be grounded. Following the incident, U.S. Forces Japan said in a statement it has been supporting search and rescue efforts for the pilot. "We continue to hope for the safe recovery of the pilot, and our thoughts are with his family and all of our Japanese partners as they conduct this search," it added. 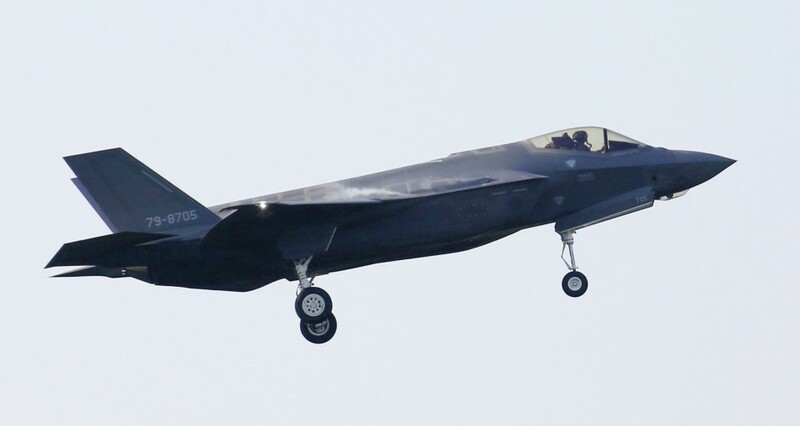 The crashed fighter was assembled and inspected at a Mitsubishi Heavy Industries Ltd. plant in Aichi Prefecture, the first-ever case in which a Japanese company was involved in the F-35A production process. Japan began deploying F-35As in January last year to replace the F-15 and aging F-4 models. An F-35A squadron with 80 personnel was formed last month at the Misawa base. The government plans to eventually acquire the 105 F-35As in addition to 42 F-35B short take-off aircraft that it will purchase at a later date. In its latest national defense guidelines, Japan has decided to upgrade Izumo-class flat-top helicopter carriers to enable it to transport and launch fighter jets such as F-35Bs, which are capable of short takeoffs and vertical landings.